Hey everyone, I'm here todayto share a new project for Sizzix Lifestyle. 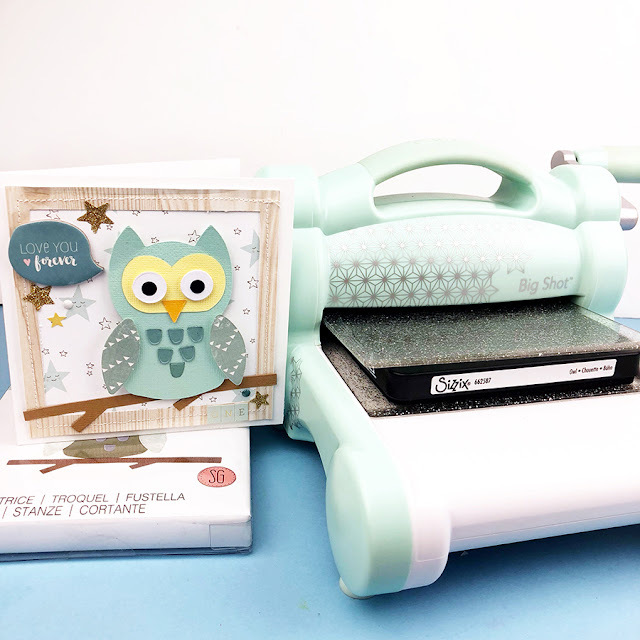 I have delved into my Chapter 2 collection of dies and am using the Sizzix Bigz Die - Owl (662587) to create a card for a special little man in our family. The owl die designed by Sophie Guilar for Sizzix Lifestyle is the perfect image for a baby boy card, or in my case a first birthday card.